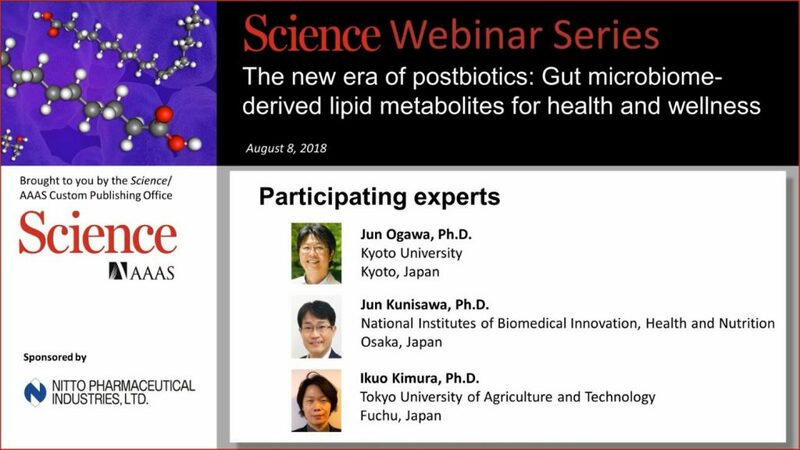 (Kyoto, 23 July 2018) Nitto Pharma, Kyoto, Japan, announced that Nitto sponsors the Webinar held on on August 8, 2018 hosted by The American Association for the Advancement of Science (AAAS/Science). Used with permission from AAAS. "Readers may view, browse, and/or download material for temporary copying purposes only, provided these uses are for noncommercial personal purposes. Except as provided by law, this material may not be further reproduced, distributed, transmitted, modified, adapted, performed, displayed, published, or sold in whole or in part, without prior written permission from the publisher."